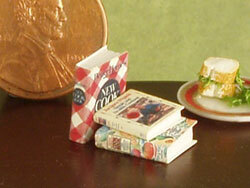 A set of wee cookbooks for your ½"-scale kitchen. 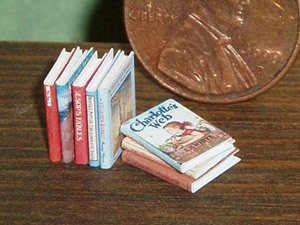 Colorful covers and real blank pages that open. Blank pages. &frac38;" to 7/16" tall (9 to 11mm). 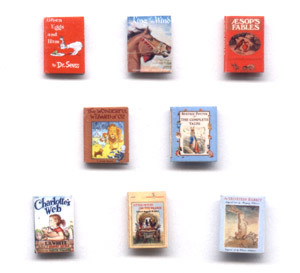 A collection of childhood favorites to fill your ½"-scale shelves. 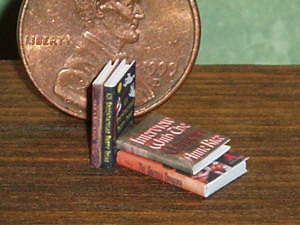 The books have real blank pages that open. Blank pages. &frac38;" tall (9mm). 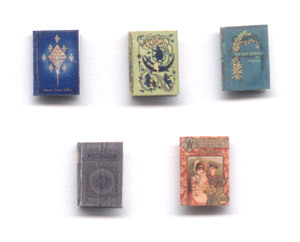 An assortment of ½"-scale Victorian-era novels and children's books with blank pages that open. 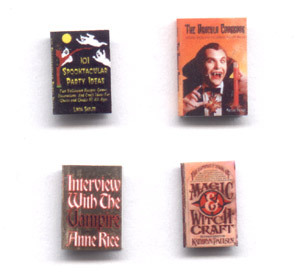 The covers are reproduced from real antique books. 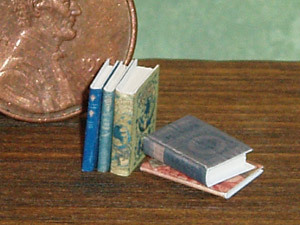 Tiny handmade books with real blank pages that open, ready for your ½"-scale scenes.